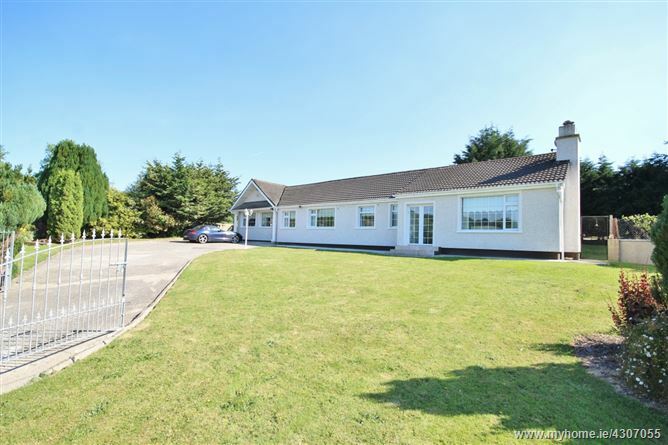 Pebble dashed four bedroom bungalow standing on an elevated site of c. 0.75 acre/0.303 Ha. 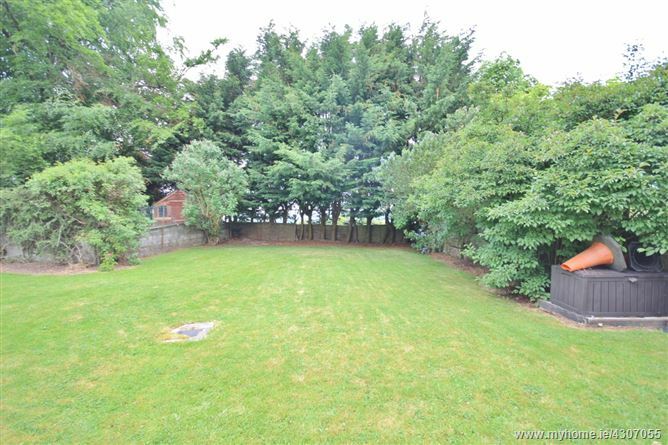 The property extends to c. 136 sq. 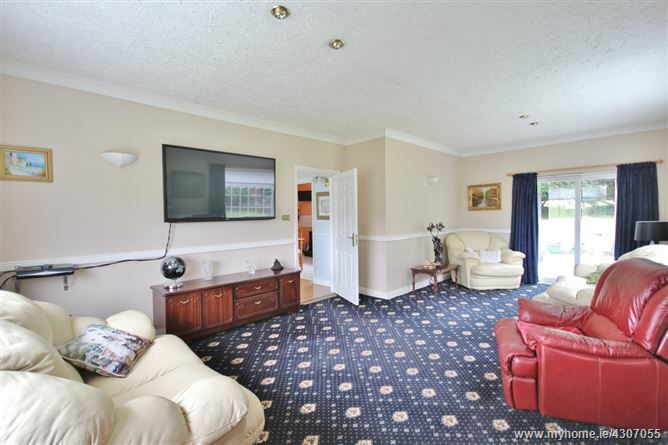 mts and has a large living room with large picture windows overlooking the surrounding countryside to one end and sliding doors to the gardens on the other end. 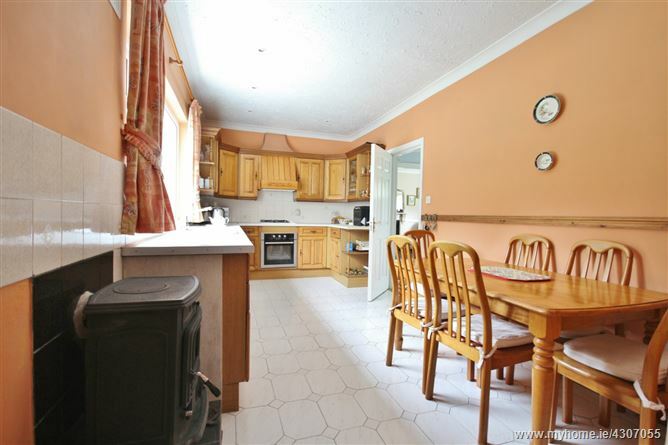 The kitchen is well laid out and the bedrooms are all of good sized proportions with two of them being en-suite. The garage has been reconfigured to be used as a studio now with utility room off. 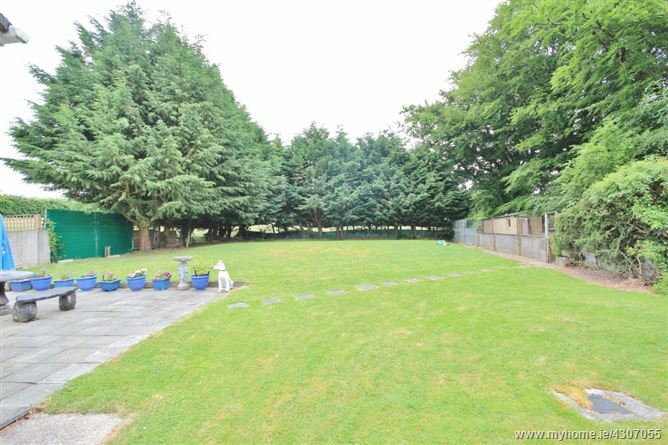 The gardens are laid out in grass and there is also a concrete area off the back of the house. 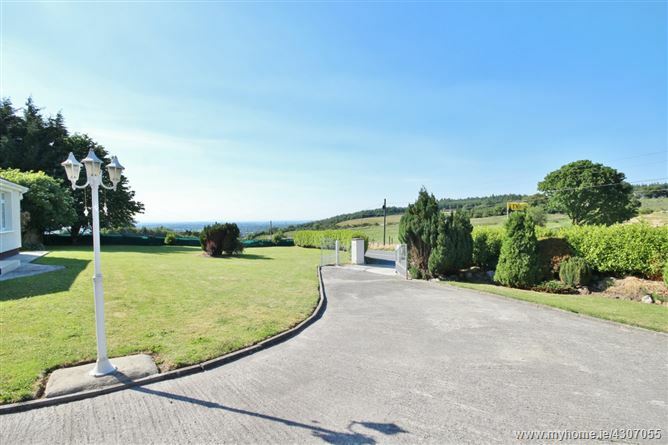 The views are striking and the property stands overlooking the Wicklow hills with no one to intrude. 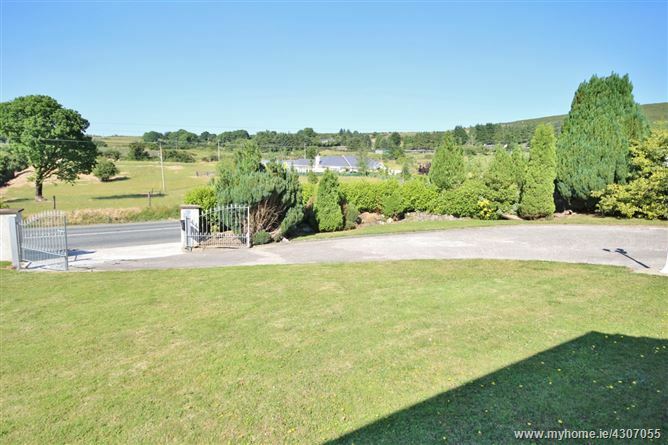 The property is located on the Wicklow Gap Road and just 1km from Hollywood Village, Co. Wicklow, just off the N81 which allows an easy commute to the city centre and surrounding areas. 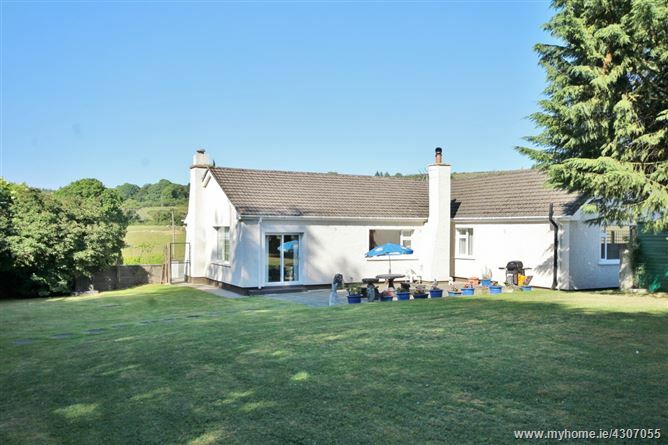 Hollywood is a village of quiet rustic charm that boasts a first class primary school, community centre, Coffee shop and well known public houses. Hollywood is the gateway to the ‘Garden of Ireland’ and its many attractions including the Wicklow Gap and Glendalough. Dublin: c. 40 km. Naas: c. 19 km. Blessington: c. 11 km. 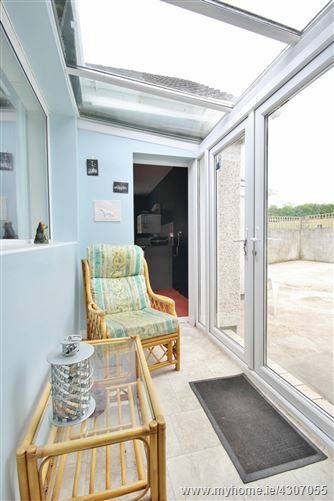 Entrance Porch: 2.14m x 1.47m. With tiled floor. 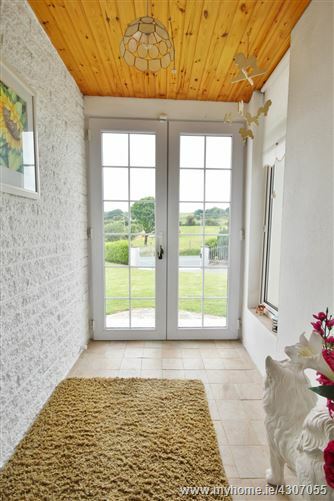 Entrance Hall: 2.29m x 1.76m. With wooden floor and shower room. Shower Room: 2.49m x 1.35m. 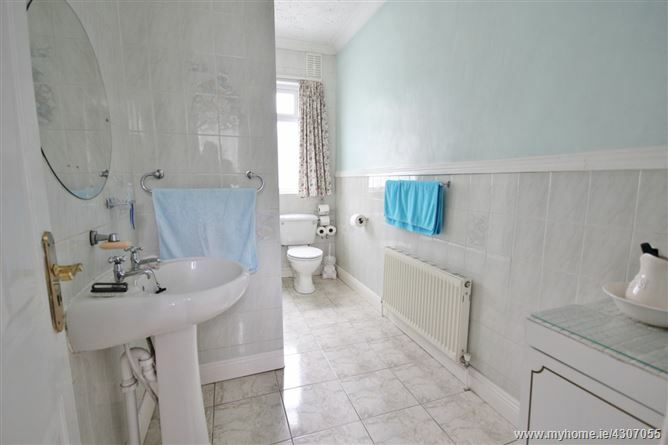 Fully tiled with shower, w.c. and w.h.b. 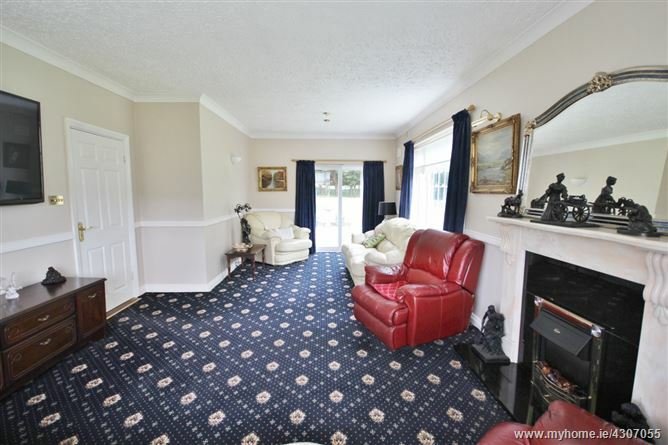 Living Room: 7.30m x 4.06m. 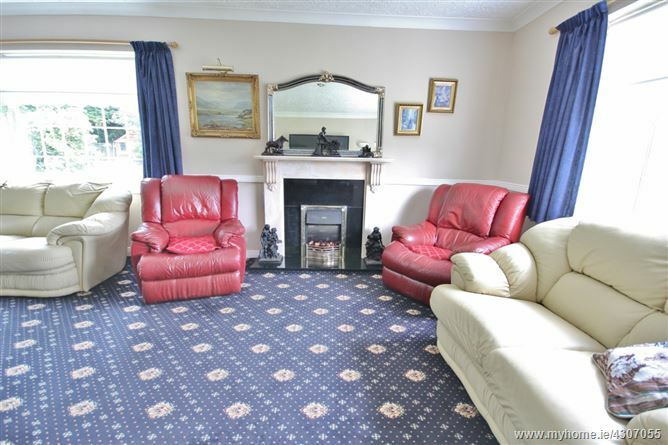 With feature marble fireplace with open fire, large picture windows and sliding doors to garden. 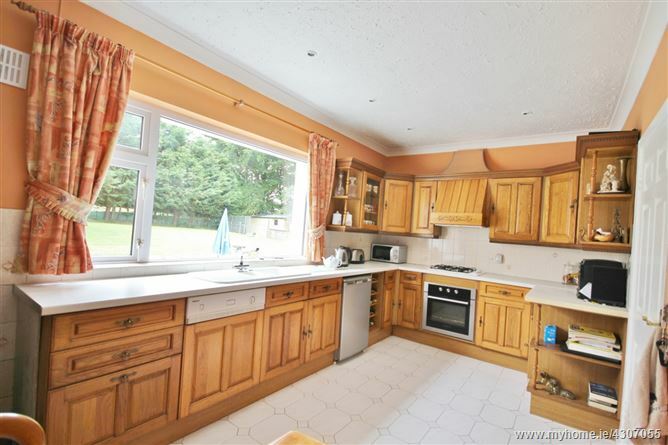 Kitchen: 5.56m x 2.74m. 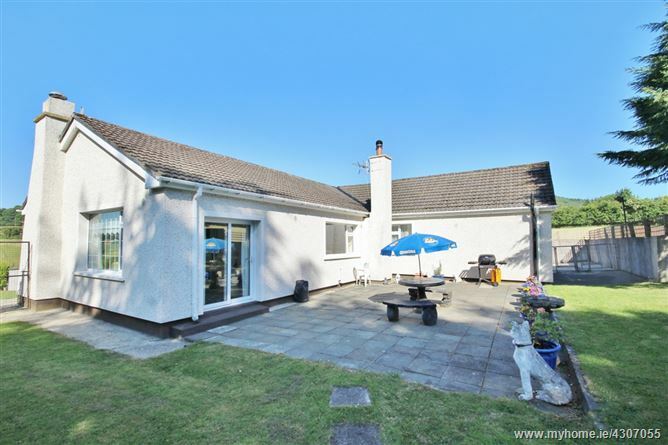 With solid oak fitted kitchen, integrated dishwasher, oven and gas hob, built in extractor fan, tiled floor and splashback and wood burning stove. 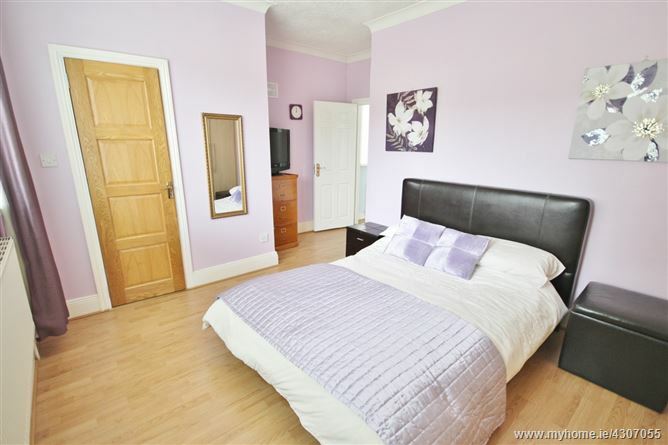 Bedroom 1: 2.45m x 2.34m. With wooden floor. Bedroom 2: 4.32m x 3.13m. 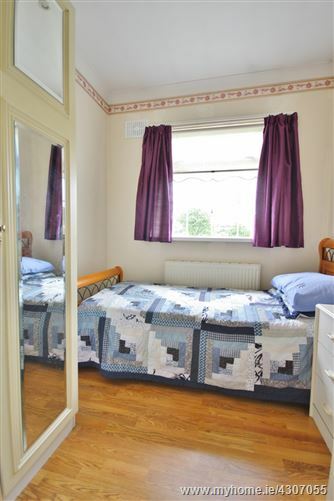 With wooden floor and en-suite. 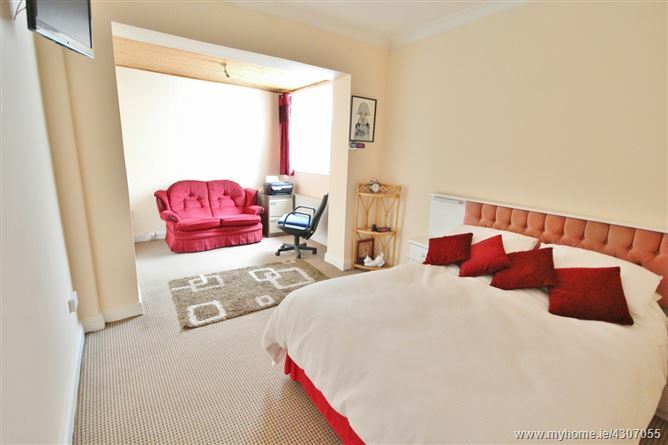 En-Suite: 2.37m x 2.16m. 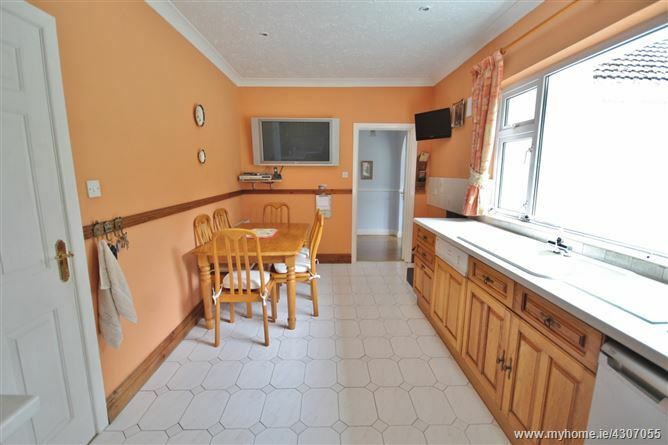 Fully tiled walls with bath, w.c. and w.h.b. 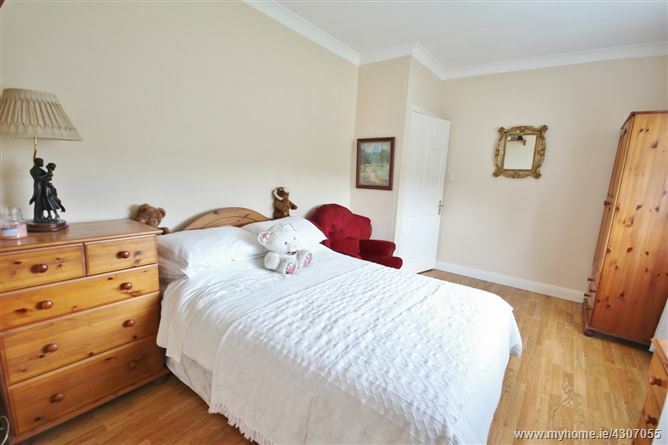 Bedroom 3: 5.83m x 3.08m. 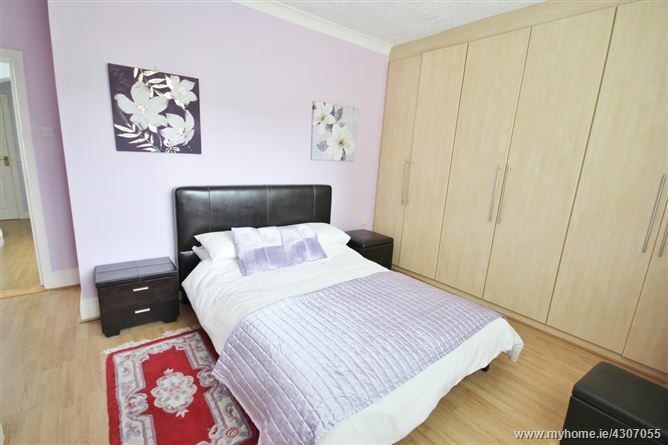 With walk in wardrobe. 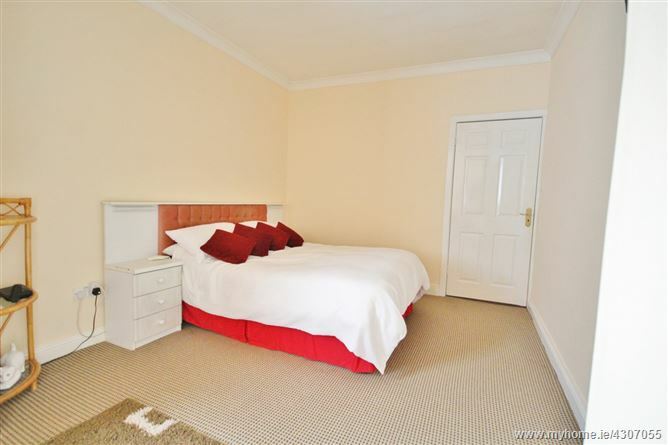 Bedroom 4: 4.02m x 4.32 (max)m. With wooden floor, fitted wardrobe and en-suite. 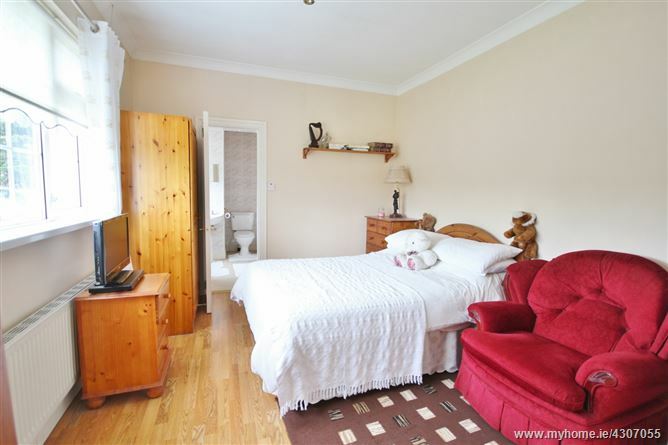 En-Suite: 1.95m x 0.77m. 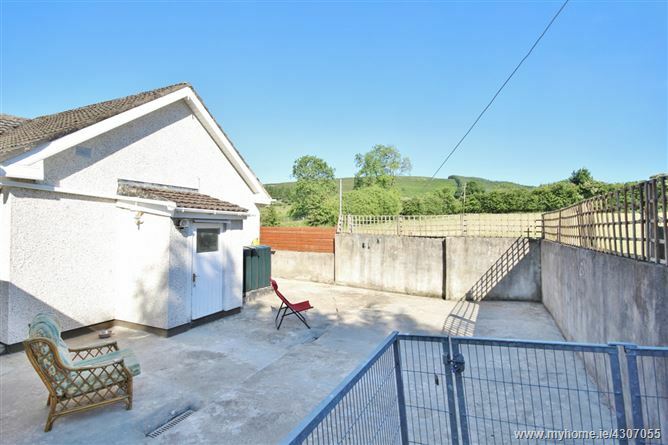 Fully tiled with shower with electric shower, w.c. and w.h.b. 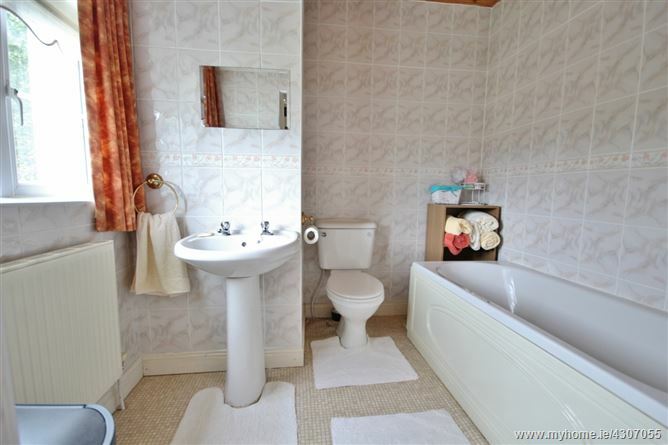 Bathroom: 3.55m x 1.71m. 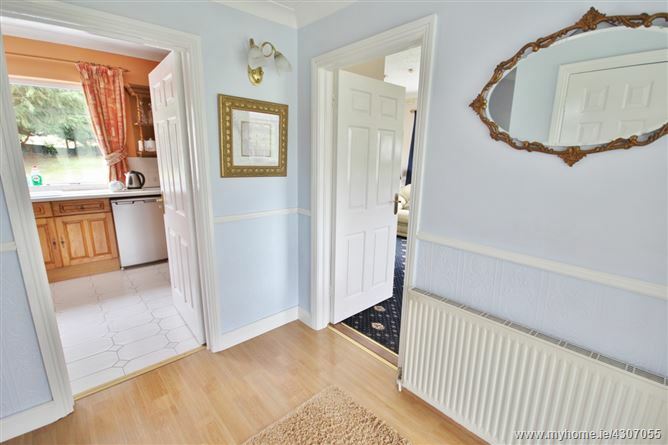 Fully tiled with bath, w.c. and w.h.b. 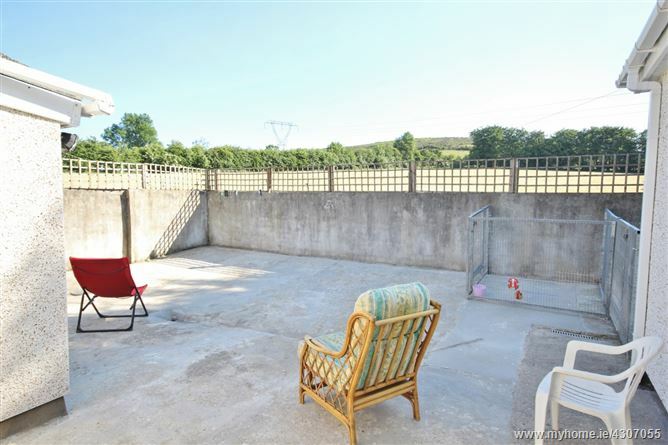 Back Porch: 2.32m x 1.32m. 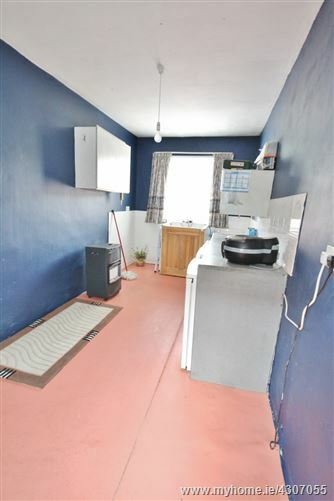 Utility Room: 5.20m x 2.33m. Plumbed for washing machine and sink. •	Land c. 0.75 Acre/ 0.303 Ha.